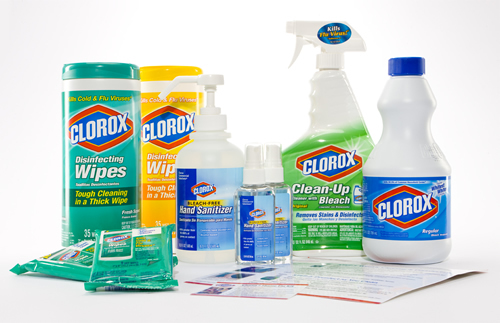 Now through the end of February, you can enter for the chance to win your very own free Clorox Home Flu Kit. Simply fill out this survey and share your top 3 reasons for sanitizing. The ten best entries will receive a free Clorox Home Flu Kit (no purchase necessary to enter). You can also score the flu kit shown in the picture above for $19.95 when you buy it online. This is a 30%+ savings over the retail purchase price of these products if you were to buy them individually (my guess is without coupons ;-)). The hospital grade Clorox Hand Sanitizer included in this kit is typically not available in stores. Be sure to use promo code b2010 here to receive your kit for $19.95. Shipping appears to be free. Disclosure: Journey 9 Marketing in partnership with Clorox provided me with one Clorox Home Flu Kit and the information for this post. Please view my full disclosure policy here. Is Journey 9 marketing a company to register with? .-= Madonna´s last blog ..On a roll =-.